I’ve a confession to make! I used to be an addict. A cheese addict. And somehow I still am, I just don’t eat any dairy products anymore but I still absolutely LOVE this cheesy flavor and its creaminess. When I became vegan, I thought giving up cheese would be the hardest part, but it actually wasn’t! There were sooo many delicious vegan cheese alternatives. And while I mostly aren’t the biggest fan of store-bought vegan cheese (with a few rare exceptions), I can’t get enough of homemade vegan cheese!! 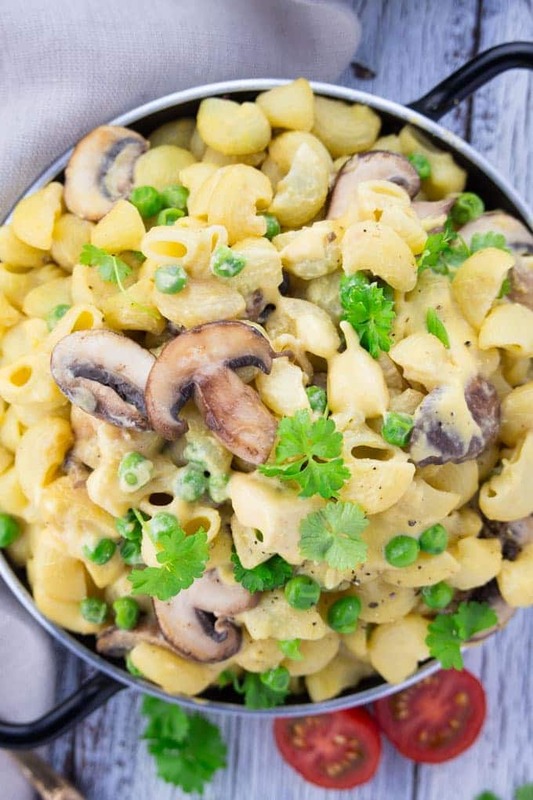 These vegan mac and cheese with mushrooms and peas are my absolute favorite! For most cheese sauces I use cashews, unsweetened almond milk, nutritional yeast, and white miso paste. I also used this for my vegan tempeh carbonara. However, the first vegan “cheese” I tried more than three years ago was made with potatoes and carrots. Sounds weird, right? That’s what I thought too before I gave it a try and had a grilled vegan cheese sandwich with it. 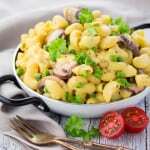 Over the years, I changed the recipe a bit and experimented with new ingredients and these vegan mac and cheese are what I ended up with. They’re super creamy, packed with flavor, oil-free, and just sooo good! Plus it’s so much healthier than classic mac and cheese recipes as it’s loaded with fresh veggies! If you don’t like mushrooms or peas or need something else for a change it’s also great with broccoli. I know many of these vegan cheese recipes only call for potatoes and carrots, but I also added some soaked cashews to make it even creamier. 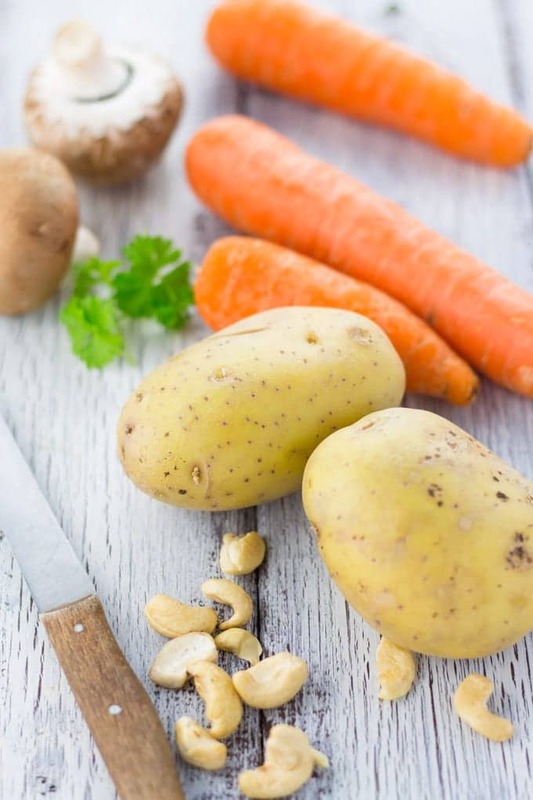 All you have to do is cut the potatoes and carrots into small pieces, cook them in salt water, and blend them together with the soaked cashews, nutritional yeast, and garlic. It really couldn’t be any easier! 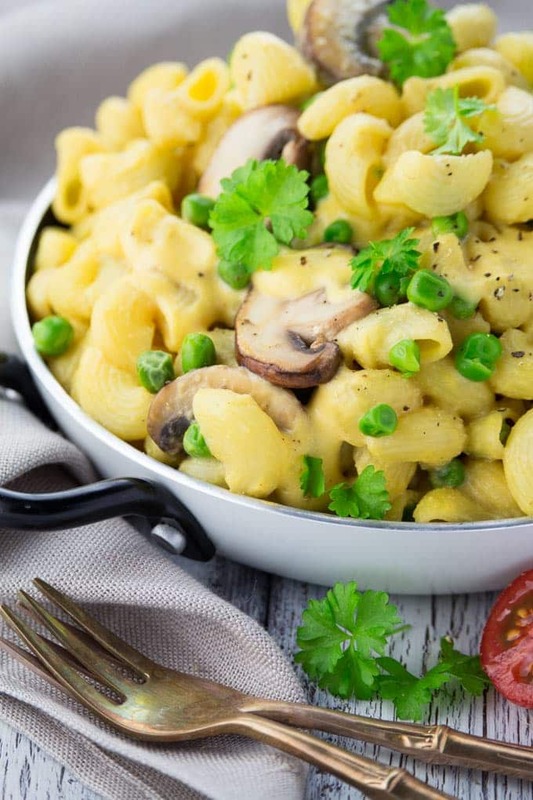 Let me know if you give these vegan mac and cheese with mushrooms and peas a try! I always love seeing your Vegan Heaven creations on Instagram. Oh, and don’t forget to tag me with @_veganheaven_ so I can see your pictures. 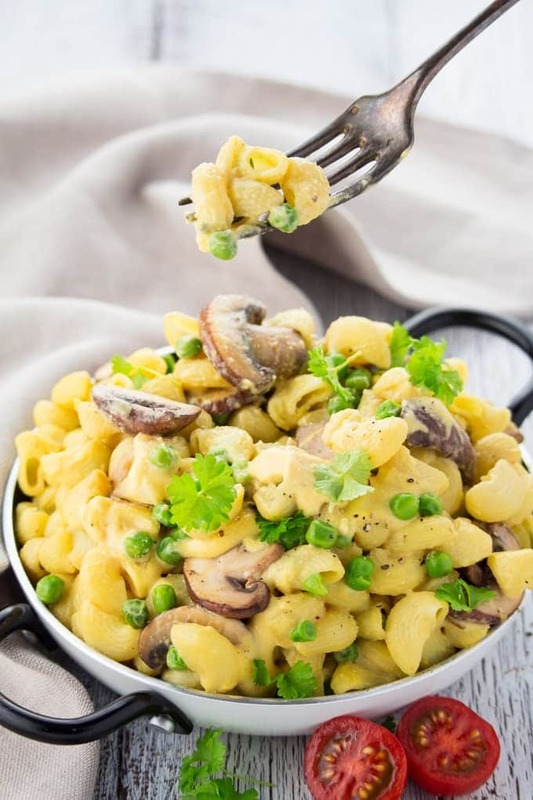 These vegan mac and cheese with mushrooms and peas are super creamy, packed with flavor, oil-free, healthy, and just sooo good! Soak the cashews in water. Cut the potatoes and carrots into very small pieces and cook them in salt water for about 10 minutes. Cook the pasta according to the instructions on the package. Cook the frozen peas for about 6 minutes (I usually just cook them with the pasta). Set aside. Drain the cooked potatoes and carrots and put them in a blender together with the soaked cashews (drain before using them! ), the nutritional yeast, the almond or soy milk, the garlic, and some salt and pepper. Blend until smooth. In a large pan, heat some olive oil and sauté the mushrooms for about 3 minutes. 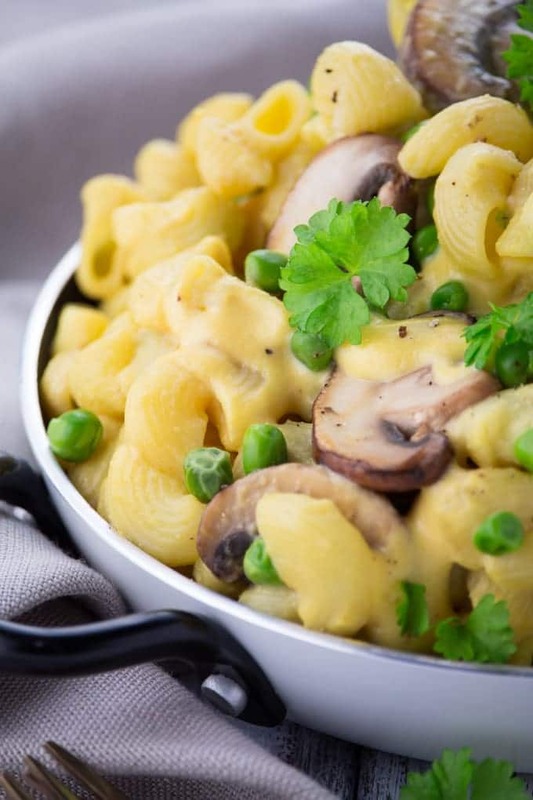 Add the cooked pasta and peas to the mushrooms and stir in the "cheese" sauce. Heat for a minute or two until warm. If you like sprinkle with chopped parsley. I agree, Sina, vegan cheese is just as good as dairy, if not better. It’s certainly healthier. This mac n’ cheese looks delightful. I love peas with pasta. Gotta love a good creamy pasta! I can’t get enough of it since I posted mine either. It’s like an addiction for sure but the good kind! This looks delicious! Love mushrooms in my pasta! Delicious!! I love a good creamy pasta. And I am a HUGE fan of peas in mac and cheese. I even liked it as a kid. I would I just add thawed frozen peas to the boxed mac and cheese.! LOVE that you added mushrooms too. So good! I don’t have any almond or soy milk. Would coconut milk do instead? It looks such an excellent recipe. Will do! I have a can which is really quite thick, with a try. The only issue with using coconut milk, Sina, is that it is very very thick. This means that you would want to water it down. It became rather heavy with the coconut milk. I have a good quality coconut milk. Perhaps for cheaper varieties it is thinner/more watery? It is the organic not lite. I could not see that it added any coconut flavour to the meal. I was vegetarian for 20+ years before I went Vegan and I thought I couldn’t do without cheese. Finding a good vegan mac and cheese was actually a bit of a challenge, but I too have liked the potato, carrot, cashew based ones. This looks awesome! Thanks, Natalie! :-) Yeah, I totally know where you’re coming from. 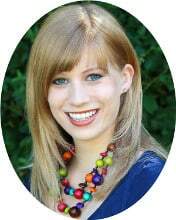 I was vegetarian for 8 years before I went vegan and I absolutely loved cheese. Yeah, cashews make such a great vegan cheese alternative! 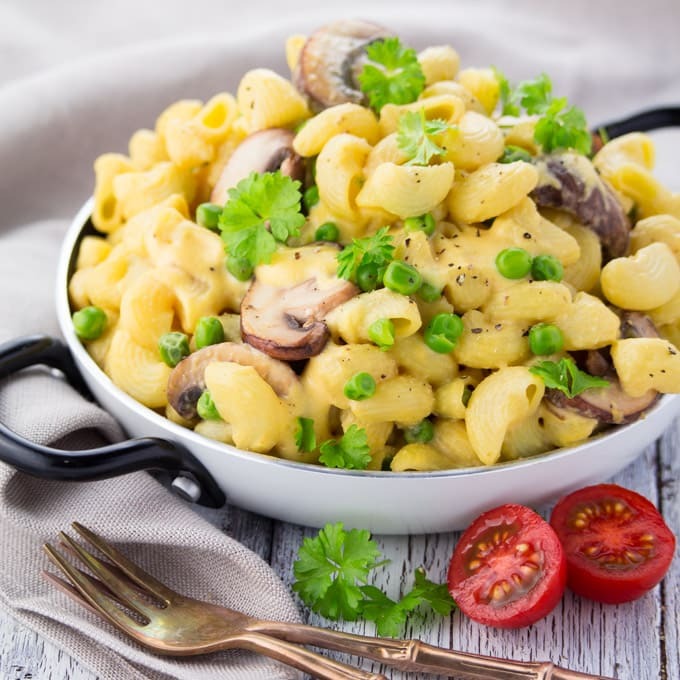 Yum – vegan mac and cheese for the win! My wife just saw this and asked me to make it for dinner tomorrow night. 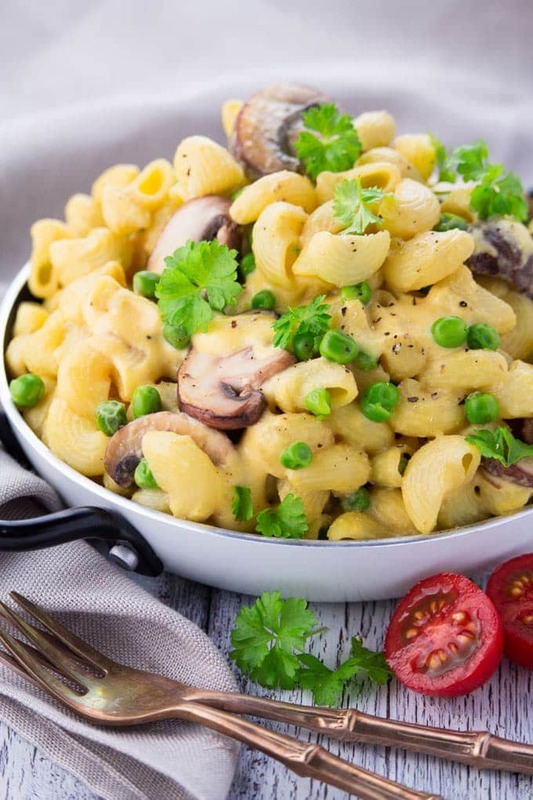 I didn’t think mac n cheese could get any better but then those mushrooms and peas came along! It looks great! So that’s what my mac and cheese has been missing! Mushrooms! This looks so delicious Sina, I wish I had a bowl right now! This looks amazing! Could the cashews be optional? Looks delicious! I wondered how the sauce would go with a little mustard added, as l used to always put a little mustard in my mac and cheese.